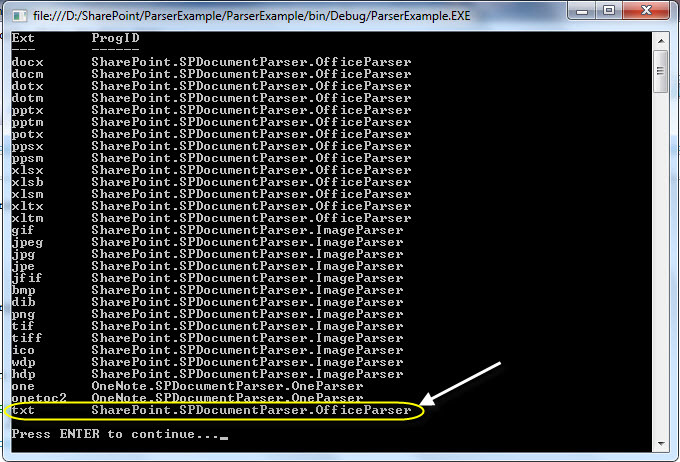 Earlier I have posted the post showing the parsers that are available in the SharePoint. In this post I will show how to associate a file type with the SharePoint default parsers. This can be helpful if anyone wants to parse the file with its own extension but want to use the default parser. In this I have created a document parser object and added that object to the Pluggable Parser set available to the Web Service.